An Englishman’s home is his castle, so goes the saying, and for many years the outer boundary of that castle was quite often protected by a line of conifers. Green, lush, and, by and large, impossible to see through, conifers stood to attention at the end of gardens across the country. But something happened to make conifers fall out of fashion somewhat. Was it just a change in taste or was there more to it? Why do people have a problem with conifers? The main problem with conifers is the next-door neighbour’s experience. By doing exactly what they have been installed to do, conifers draw the ire of other householders. So, while they grow tall and strong and are solid, it is these virtues that are a problem to adjoining houses, who see their space being encroached upon by trees they do not own, and, even worse, that block their light. 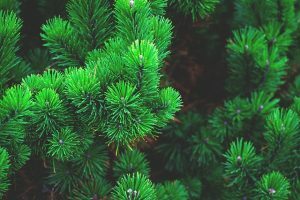 As well as blocking much sought-after sunlight from other people’s gardens, conifers hit gardeners’ plants with a double-whammy being incredibly thirsty plants that drain nutrients and water from the soil. This can be a problem at the house the conifers are planted at just as much as in adjoining gardens, with patches of brown grass left near to the trees. Conifers also need regularly trimming to keep them in good shape – and to stop them growing out of control. For neighbours who inherit this task it is particularly onerous. High hedge legislation kicks in at six-and-a-half feet, so it is essential to regularly get your trees trimmed. Neighbours can ask the council to intervene if they feel reasonable requests to maintain trees have been ignored. With this in mind it is imperative to keep your trees tidy and at a reasonable height. Rather than let this become a struggle, take expert advice and employ a tree surgeon to keep on top of your conifers. Don’t let maintenance take away your enjoyment of your garden – or your neighbour’s. Contact Garden busters for help in managing out of control evergreens.